Please click on the FAQ below to view. Yes. It is important to us to ensure that we have addressed your exercise wants and needs and also that you are able to use all the equipment safely and efficiently. However we offer a range of flexible membership options, Contact our membership team to discuss your specific needs. The signup section of the website is very secure, and any details entered on this website are encrypted before being sent to the server. The majority of our members understand that joining a quality Club like Alpine to become healthier is about a lifestyle change and not just using a Club. Members are generally happy to commit to a fixed term agreement; naturally we reward this commitment throughout your membership subscription. However, we do understand that sometimes it is difficult due to personal constraints to commit so we do also offer flexible membership terms with no fixed periods. What is the minimum age to join Alpine Health Club? Junior Members – Children of 13 years old are only permitted to enter Alpine Health Club when accompanied by an adult Parent/Guardian who accepts responsibility for their supervision at all times. Does the membership Include Sauna? Yes it certainly does, boost yourself in our luxurious Finnish Sauna. Just lie back and relax to leave yourself with the feeling of well-being and relaxation, whilst providing you with healthy skin and keeping you thoroughly refreshed. If you plan to use the Hotspot then don't forget your swimwear. We provide an exclusive health screening as your first point of contact with your professional Fitness Consultant. We will assess your level of fitness by undertaking various assessments. We believe that to design our members the best exercise programmes possible this full body MOT gives the fitness consultant the right information which acts as a sensible precaution before undertaking any exercise regime With the final results your health profile will enable you to evaluate your current lifestyle, identify any weak areas and know where and how to make positive changes! What happens during my personal fitness programme? What if I forget how to use the equipment? Not to worry there is always a member of the team at hand to help and support your every need and you may even request additional one to one demonstrations, we’re not happy until you are! What do I do if I want to try a new exercise? The Fitness Team is always on hand for any help or assistance you may need. If you feel it's time for a new programme then just ask any team member. You will be issued with a unique number together with a personal photographic membership card to gain access into the club via an automated entry and exit control. We offer spacious changing facilities with complimentary lockers, vanity area and hair drying facility. Please ensure all personal belongings are kept in lockers at all times. Please do not leave any of your belongings in a locker overnight they are for the duration of your training session only. The locker facilities are complimentary, however bring your own padlock or alternatively you can purchase a padlock from our reception at the club. Sportswear and trainers, No need to go out and buy the latest in fitness clothing , wear whatever you feel comfortable in, T-shirt and tracksuit bottoms or shorts and sweatshirt. We have a non intimidating and relaxed atmosphere at the Club, it's not a designer fashion parade, good clean trainers are a must however. If you plan to use the Hotspot then don't forget your swimwear. As well as your sportswear and trainers you need to bring a small gym towel to use while you workout, this is essential. We also recommend you bring a drink with you or purchase a drink from the club. No canned drinks are allowed in the fitness suite, only sports bottles with secure lids. Remember to bring a separate towel if you plan to shower after your workout or use the Hotspot. Do I need to book each visit? NO – once you have undertaken your induction you’re free to come and go as you please. Is there a Car-park near by? We offer FREE on site flood lit secure car-parking. When you join we will ask you to fill out a pre-exercise questionnaire, this enables us to ensure there are no reasons why you shouldn't be embarking on an exercise regime and acts as a sensible precaution before undertaking any exercise. We will then book you in for your first visit along with your Health screening. This is your first point of contact with your professional. We will assess your level of fitness by undertaking various assessments. We believe that to design our members the best possible exercise programmes this full MOT gives the fitness consultant the right information and with these final results your personal printed health profile will enable you to evaluate your current lifestyle, identify any weak areas and know where and how to make positive changes! From there we will arrange another session for the exercising within the fitness suite. Can I pay for my membership annually? Yes you may. 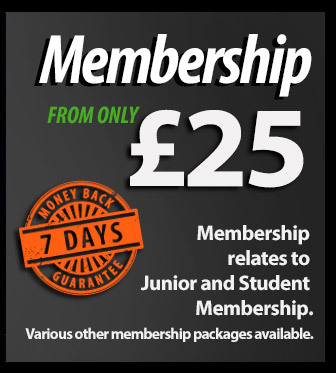 By paying your membership in full for the year you will be eligible for a 'paid in full' discount, however we also offer a monthly option payment scheme. Yes, however Freezing is only permitted for reasons of personal illness, injury or pregnancy, with the minimum of 2 months and the maximum of 6 months in any 12-month period. This service is charged at £5.00 per month, which replaces your normal monthly subscription, payable each month of suspension. A written application is required in order to effectively suspend your membership. Can I bring a friend or family member to exercise with me? Members introducing guests to the club must ensure that their guest entry form is completed and pay the appropriate fee. A guest pass must be presented for each visit and a member must accompany all guests. Not more than one guest admitted on any one-day. 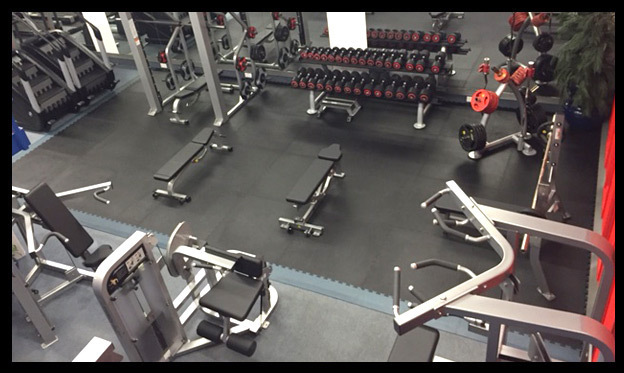 Yes we offer FREE – wi-fi as we pride ourselves on being East Anglia’s premier Fitness Club, we offer all the services without the premium fees.